Wheel thrown with stoneware and glazed with our signature glaze. 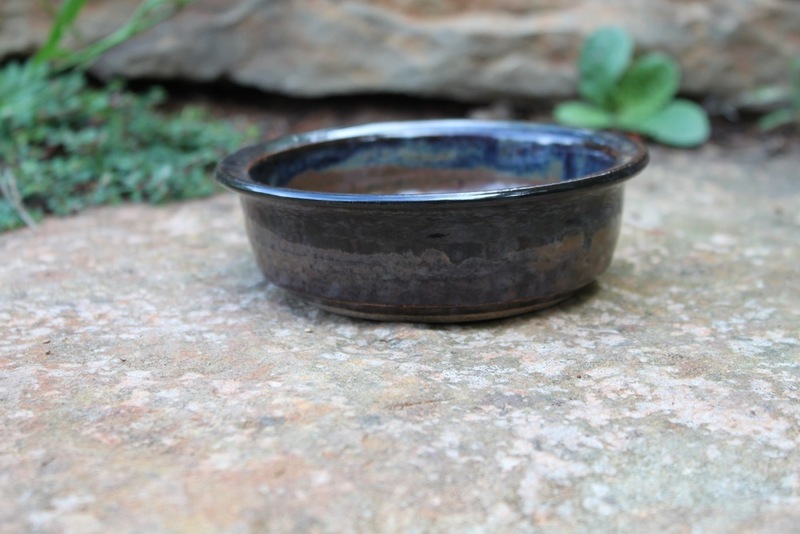 Our high fire glaze is beautiful and will stand up to generations of use. It measures approximately 5 inches across and 1 1/2 tall. All measurements are approximate because hand made items may vary slightly. This Dish holds a 13 oz wheel of brie....i like mine baked with some bourbon, brown sugar, and pecans. If you like yours en croute (fancy for wrapped in puff pastry), use a smaller wheel, wrap it in pastry, and it will fit just fine! Lead Free, Microwave, Oven and Dishwasher safe. "As long as you own this piece you will always have a Miracle"